Growing up, I often heard my mother refer to her “Aunt Mary Bryce.” She was a widow, as was her mother and grandmother; a painter,1 whose works were common in the Gray households; and constant housemate to and babysitter for my mother’s grandmother Annie, who references her in the article, “Four Postcards from a Sanitarium.” Aside from the research I’ve done for this piece, the only personal connection I have to Aunt Mary Bryce is a wonderful realistic oil painting of a maple branch in my office that she did. Let me share some of the warmth of this woman as well as the heartbreak that she must have experienced in her lifetime. It all makes for an encouraging tale with a simple moral: If she can survive, and thrive, so can we. Mary Pillow2 Norris got off to an inauspicious beginning, born into a family filled with tragedy. Her father Dowling (Dauling) Norris died of lung disease when she was just four years old. 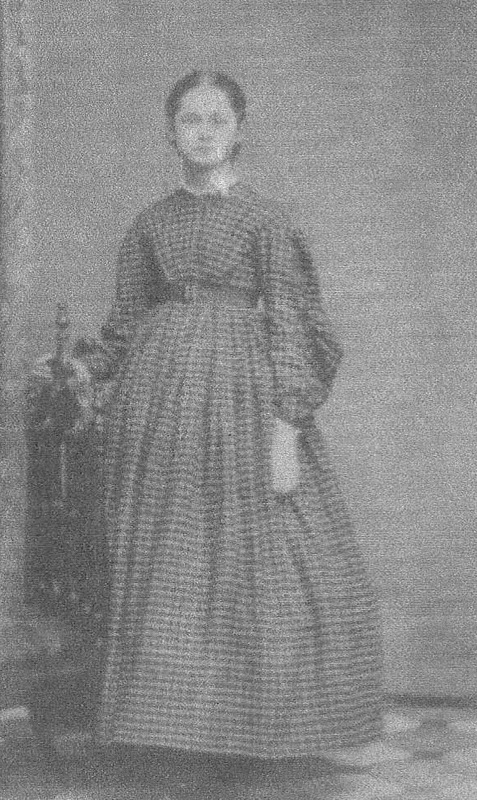 Her oldest brother, Robert “Robbie” James Norris, passed away at age 16 after being honorably discharged from the Union army in the Civil War.3 Mary’s mother Elizabeth Brown(e) Norris4 had tried several times to get the pension that was due a deceased veteran’s family but apparently could never prove that the War had been the cause of Robbie’s death. Family tradition say that Mary’s grandmother Annie, also being a widow at a young age, came to live with the Gray family in West Deer Township. Unfortunately, the tribulations of Mary were just beginning. We don’t know how this simple farm girl met her husband from the big City of Pittsburgh, who would have been considered of a higher class. Perhaps, both being members of First Presbyterian Church in Pittsburgh, they met at a church function. As farmers, the Norrises took their produce and products to the City. Perhaps Mary met David Bryce at a market. Most likely, however, is that as an adopted child of a wealthy engineer, George Pillow,6 so the story goes, Mary was introduced into the Bryce Glass circle, all professionals, by her adopted father. We just don’t know at this time. 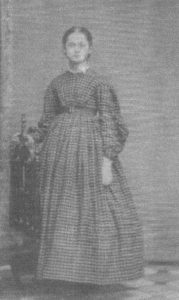 But, Mary Pillow Norris and David Kerr Bryce were married in June of 1879 at the home of Mary’s aunt, Nancy Pillow. David, 30, was three years older than she. We’ll discuss David’s family background in a minute, but several references in the newspaper announcement stand out. 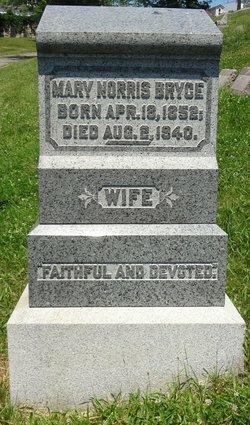 First, it says, “Mary Norris, formerly of the Washington Seminary.”7. We know that Mary was a talented painter who must have coveted higher education, but her biological family just simply wouldn’t have had the money, or mobility, to enroll her there. Had she received a scholarship from her church, or did the Bryce family put up the tuition? Most likely the money came from her supposedly wealthy adopted father, George Pillow. We’ll have more of a clue in the next paragraph. Probably, as other women of that time, her studies ceased after she got married. Mary’s life seemed headed in the right direction after her adoption by a wealthy uncle and marriage to a rich young man, about whose family we’ll hear in a minute. But, David and Mary’s attempts to raise children came to a sad end when each of their sons died in infancy: George Dowling, born in 1880, lived only four months; and Howard, born in 1882, lived only three months. The causes of death are unknown to me, but it’s known that many children died young before the advent of antibiotics and modern medicine. But, for Mary, the worst is yet to come. 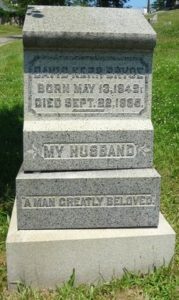 Her beloved husband of only six years died in his 35th year. Again, we don’t know the cause or the circumstances, but Mary must have been devastated and no doubt turned to her family, her faith, and her painting to survive. Surely the Bryce family did what they could to care for her, and we’ll hear about them now. David Bryce, and wife Mary and children in kind, would have been heirs to the wealth and fame that Bryce Brothers Company, Inc. had accumulated in Western Pennsylvania from the early 18th century until it was sold to the Lenox Crystal glass empire in the late 20th century. Patriarch James Bryce (1812-1893) had emigrated from Scotland with his family to Philadelphia and came to Pittsburgh in 1818. 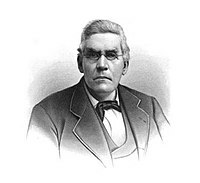 His father, who supposedly was suffering from the effects of working with lead in the making of glass, placed the young James in an apprenticeship with friends at the successful enterprise Blakewell, Page and Blakewell, downtown Pittsburgh. They manufactured glass, which was probably the only trade the older Bryce knew. 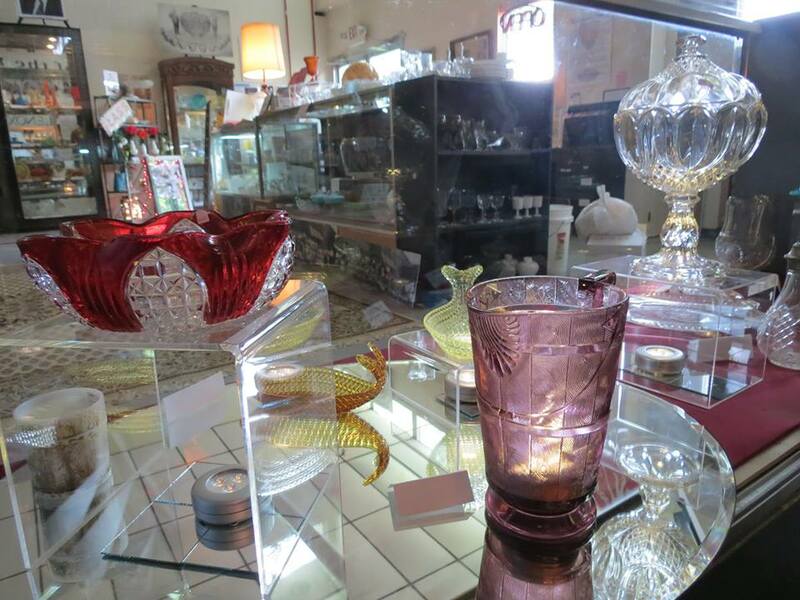 Since the 1700s, about 80-percent of all glass made in America came from Western Pennsylvania and the tri-state area. Young James began his training at age ten and rose through the ranks, so to speak, for 18 years as a glassblower in the industry. He married and reared eleven children. His four sons would each eventually supersed each other as president of the family company to come. In all, nine members of the extended family would serve various roles in the company’s history. In 1840, because of several years of near depression in America, the Blakewell company shut down, and James tried selling groceries, another service that all households need. Within four years, narrow profits and the Great Fire of 1845 found James knocking at the door of Mulvany and Ledlie Glass on Pittsburgh’s South Side for a job. 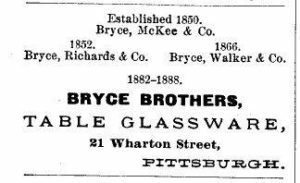 About five years later he and some friends began to think that they could make it on their own and started Bryce, McKee & Company, glass makers. Their advertising mantra was, “Fine hand-blown lead crystal since 1841,” a date adopted by one of his brothers after leaving the Blakewells. James, his brothers, and other relatives were known over the years by many monikers, which always included the family name, before becoming simply “Bryce Brothers” in 1882. 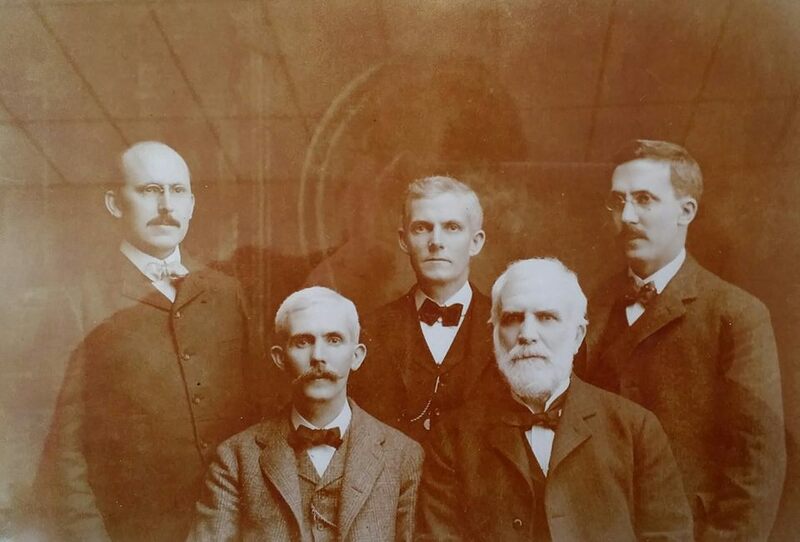 In 1891, the United States Glass Company was formed, acquiring 17 factories, including the Bryce Brothers. 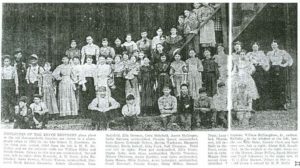 Eventually, in 1896, the highly successful Bryce operation moved from Pittsburgh, Allegheny County, to neighboring Mount Pleasant, Fayette County, where four generations of family worked. In 1948 that factory was sold to Lenox Crystal. Together, they continued to produce blown crystal glassware until 1965 when the company was sold again. Lenox officially went bankrupt in 2008 after several tragic industrial accidents and was reorganized under another name. The building out of which the old Bryce works operated burned to the ground in 1998. The Glass Center Museum, Mount Pleasant, that honored the Bryce Brothers, Lenox, and Smith Glass companies of the area, unfortunately closed last year. They had priceless items on display and for sale. There was a minimal charge for admission to see the literally hundreds of patterns and colors. They also gave monthly historical and technical presentations, more than we could possibly cover here. Aside from doing internet searches on the various topics we’ve discussed here, the best place to go for information is their Facebook page, which as of this date is still online. We understand that thousands of precious artifacts from the Glass Center have been and will be given to at least three institutions in Western Pennsylvania: the Carnegie Museum of Art and the Heinz History Center in Pittsburgh and the Westmoreland Museum of American Art in Greensburg, PA.
Several of the historical boasts for Bryce Brothers, according to Harley Trice, great-great grandson of founder James Bryce, was providing glassware for the Herbert Hoover White House in 1933. The dinner and lounge service at the 1962 Seattle World’s Fair atop the Space Tower was manufactured by Bryce. Also, the famous Stanley Cup sat proudly on a Bryce glass table at the National Hockey League Hall of Fame in Chicago that same year. Trice says that during a trip to Malta in 2008, when he had dinner in the American Embassy, he was served his beverage in a Bryce wine glass. One of the last vestiges of the Bryce family in Mount Pleasant, their stately mansion, was destroyed by fire in 2010. The three-story Victorian-style home was built around 1896 when the Bryce works were moved to that area. It had been occupied by the four members of the Richards family.9 James Bryce’s granddaughter, Elsie Bryce Heard once lived there. She had the distinctions of being the first licensed woman driver in Pennsylvania and taking shooting lessons from none other than Annie Oakley. There are meanings of the Bryce name, all of which are appropriate here. Beginning in Scottish Medieval times, it was first a boy’s first name, meaning “of Britain.” Another source claims it’s the Scottish word for “speckled,” which might suggest the colorful patterns of glass produced by the Bryce family. Other translations are “son of a nobleman” and “swift,” both of which are appropriate for this proud family. Aside from the glass, the name will always be a household word in America as we associate it with our beautiful national Park in Utah, Bryce Canyon, known for its splendid colors. It was named for Mormon pioneers Ebeneezer and Mary Bryce. In conclusion, to students of American industry and art collectors of glass, “Bryce” is a household name. But to me, my “Aunt Mary Bryce,” who passed in 1940 at age 88,10 will always be the talented painter who created the work that hangs in my office. 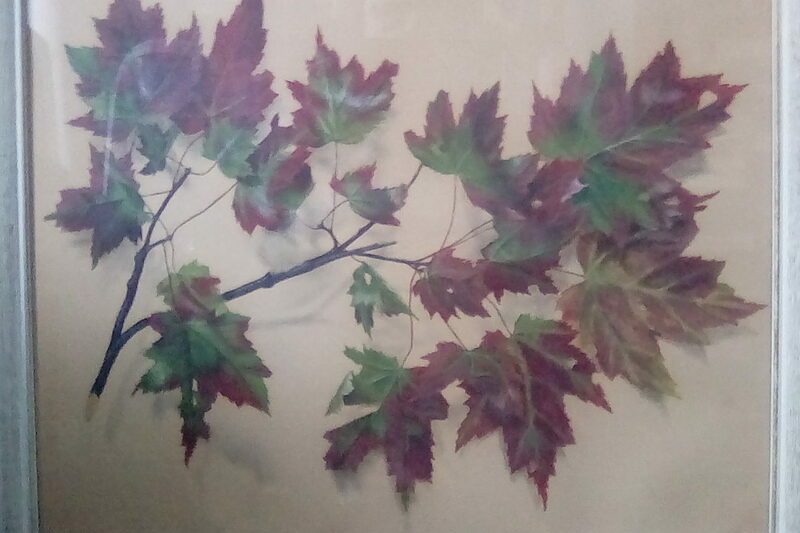 The oil re-creation of the maple branch has come to symbolize my adopted home, Somerset County, PA, abundant with the trees that provide the sap for one of her most unique businesses, the production of delicious maple syrup. Even more special is the fact that I married the 1967 Maple Princess from Jenner-Boswell High School. But Aunt Mary’s life proved that one can not only survive tragedies, like the early loss of a grandfather, a father, brothers, a husband, and children, but can thrive by clinging tightly to ones family, faith, and God-given talents. Oh, and one more thing: Aunt Mary passed away in 1940 and bequeathed what was left of her inheritance to several ministries and missions of her church, including the Seminary, the Women’s Association, and the Home for Aged People. She gave money to the local hospital and orphanage. And she didn’t forget her supportive family either. Have a look at her Last Will and Testament. By today’s standard (2016), the money she gave away would be worth, relatively speaking, somewhere between $300,000 and $3 million. And don’t forget to see the tribute paid to her by one of the charities that she oversaw. Many Bryce glasswares are available still today on E-Bay and at Amazon.com. If you have any questions on this presentation of Bryce Brothers’ glass production in American history, we hope that you will search the internet, exploring the sites of the various area museums, and especially the Facebook page of the Mount Pleasant Glass Museum. Perhaps one day you’ll visit one or more of them in person. When and if you do, kindly remember our Aunt Mary and her sad but inspiring connection to the Bryce family. The gift of music is also attributed to Aunt Mary, but we don’t have enough details of that to speak of it here. Surely she had a strong positive influence on my Grandmother Bertha Gray, from whom our old family heirloom piano was graciously accepted, though the original bill of sale was found in Grandma’s Campbell parents’ Bible. Read that story here. Some Ancestry.com family trees have Mary’s middle name as Mackrell, her grandmother’s maiden name. This would be in line with Scottish naming practices as referenced in the footnotes. Furthermore, most women seldom use their given middle names after marriage and only use their maiden surnames. My Great-grandfather Robert Patterson Gray served in the same Pennsylvania 6th Regiment, Heavy Artillery, only they had been in different companies. We wonder if this wasn’t how Mary’s sister Annie Norris Gray met my great-grandfather. Spellings differ in immigrants to America. Sometimes the person registering the families wrote down what he heard. Mary’s Grandfather James Brown would have had a heavy Scottish accent when he landed in Philadelphia. Sometimes immigrants wished to be “more American” and simplified spellings. See also “Naming Practices in Scotland” if you’re wondering about the reused of names to honor ancestors. Not so incidentally, Sister Annie suffered from rheumatoid arthritis, spent some time in a sanitarium, and later died confined to bed. Read her story here. The younger and apparently healthier Mary Norris outlived her surviving sister by 18 years. Pillow was a common name in and around East Deer Township. While we’re not sure of exact relationships, Thomas Pillow had deeds to much of the land that is now Cheswick. Today, there is a Pillow Avenue there. An Archie Pillow had inherited a great deal of land from the Keen estate, and a George owned the second oldest house in that area. All this suggests that the Pillow family had money. There are at least a half-dozen Pillow graves in cemeteries in and around East Deer Township. 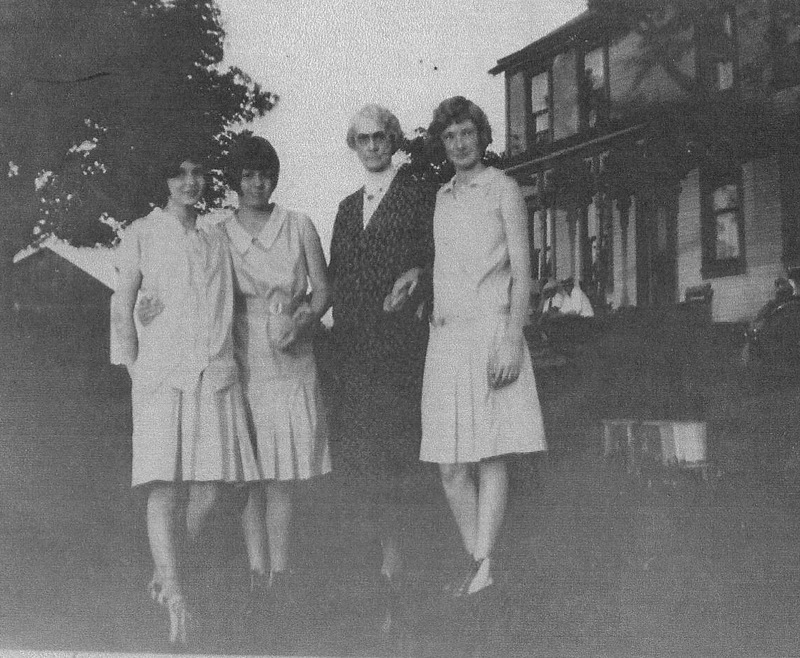 A project of the Presbyterian Church, the Washington Female Seminary, Washington, PA, was perhaps more of a finishing school for talented young women. Today the word “seminary,” which comes from the Latin “seed,” is reserved exclusively as a school for candidates for the ministry, but the Washington college taught art, music, elocution, and the Bible, from a literary point of view. 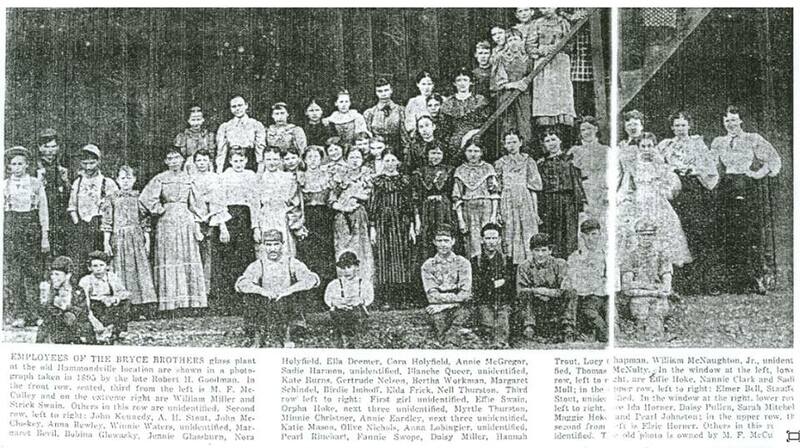 When the school closed in 1948, it was acquired by Washington and Jefferson College, an institution that was begun by frontier Presbyterian ministers in 1781 and first met in a log cabin. Steven Richards is a commercial construction contractor, and after rescuing the mansion from some disrepair in 2007, he and his family moved in. Before that, it had been a half-way house for troubled youth. Census records state that Mary lived out her final days with family at several addresses in Wilkinsburg, then a wealthy suburb of Pittsburgh. She was described as a “widowed lodger.” Her death certificate indicates that she passed of “acute uremia” and “chronic myocarditis and endocarditis,” not unusual for a person of her age. Ironically, I did my student teaching in Wilkinsburg thirty years after Mary died, and by then it too had suffered the blight of many American cities. Once known as “The Holy City” for the great number of churches it celebrated, in 1899, Wilkinsburg was honored as home of the very first Carnegie Library in the nation, and in 1916 as location for the studios of the world’s first commercial radio station, KDKA. The borough was truly once a cultural center, and I’m sure Mary felt right at home there. Don’t know how my elaborate webpage/e-mail system missed this, but it did. I’m copying this to direct e-mail so you can also reply directly: pearce@atlanticbb.net . I’m excited about your book!